The Tooth Jumbo Scented Slow Rising Squishy is an 11cm slow rising squishy takes almost 15 seconds to rise. It is made to look just like a giant tooth and features a very nice kawaii face on it. 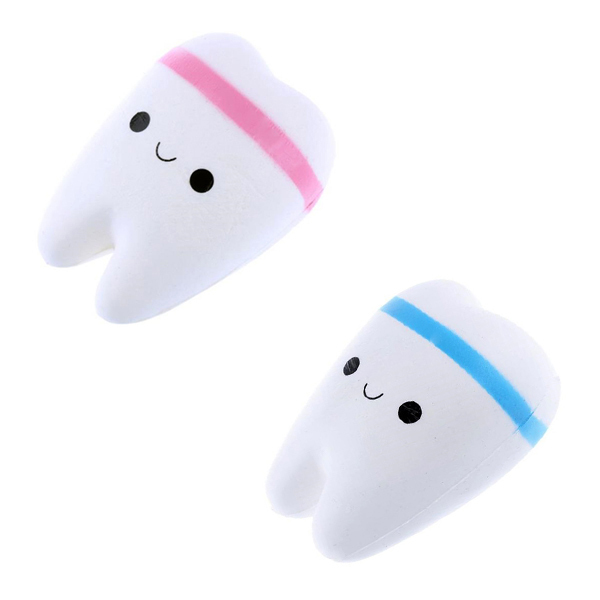 This jumbo tooth squishy is available in two different designs, one with a blue line and the other one with a pink line.